The Montreal Holocaust Museum invites you to discover powerful letters preserved in its collection. The 17 Letters – For the Last Time and Forever educational activity focuses on 17 letters written during the Holocaust between 1941 and 1944. These letters provide accounts of terrible living conditions, despair, and resignation in the face of events. They also highlight the complex history of the Holocaust and the diversity of shattered fates. They were written by people caught in the storm of nazism and the genocide of European Jews during the Second World War. The letters cover the 5 following themes: the Warsaw Ghetto and resistance, camps, deportation (letters from parents to their children), despair and liberation. Students analyze the letters according to a five-step critical process and learn what they can offer as primary sources. They determine the context, content and historical value of the letters. The 17 Letters – For the Last Time and Forever pedagogical activity is available online free of charge. Click on the download links at the bottom of this page for the activity that corresponds to your province’s curriculum. The activity includes the letters, their English translations and a student questionnaire. 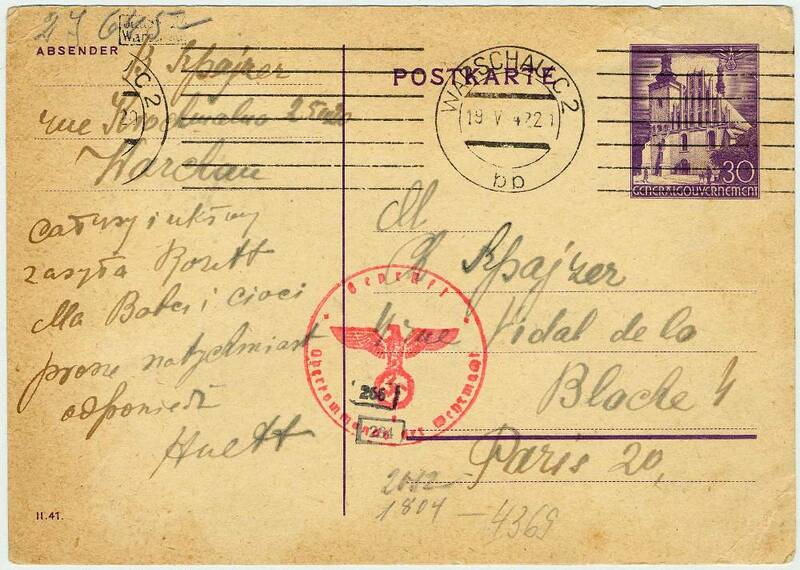 The original letters are written in Polish, German, Russian, Yiddish, Hungarian and English. 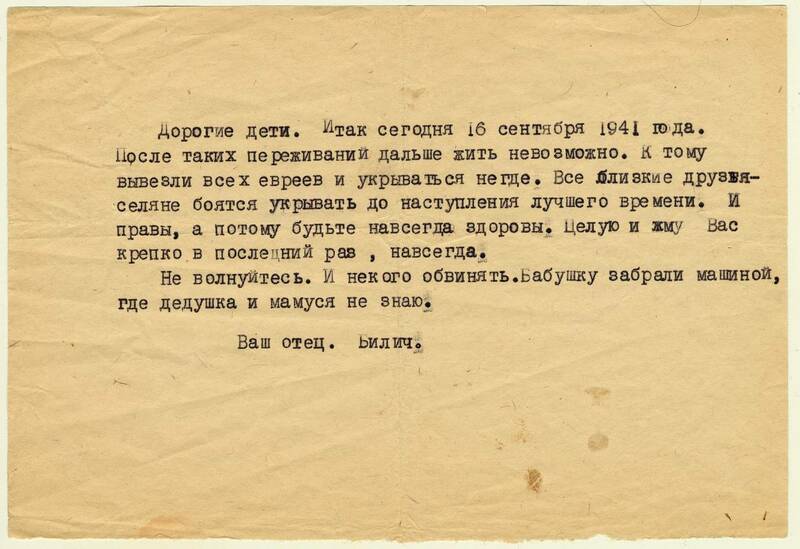 Letter from Rosette, Warsaw, May 18, 1942. Letter from Billich, Sept. 19, 1941. 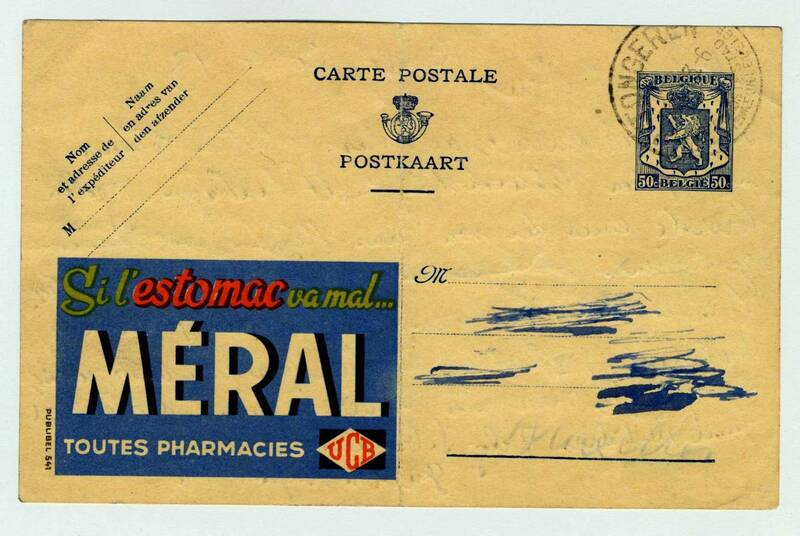 Letter from Otto - Prisoner in the Malines Transit Camp, 1943. We invite you to use our Teaching with Primary Sources in History Classroom Analysis Sheet which will help your students with studying the letters.